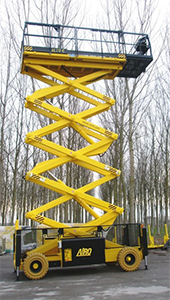 The Airo XL19 E is an electric scissor lift for hire from JMS across the UK. 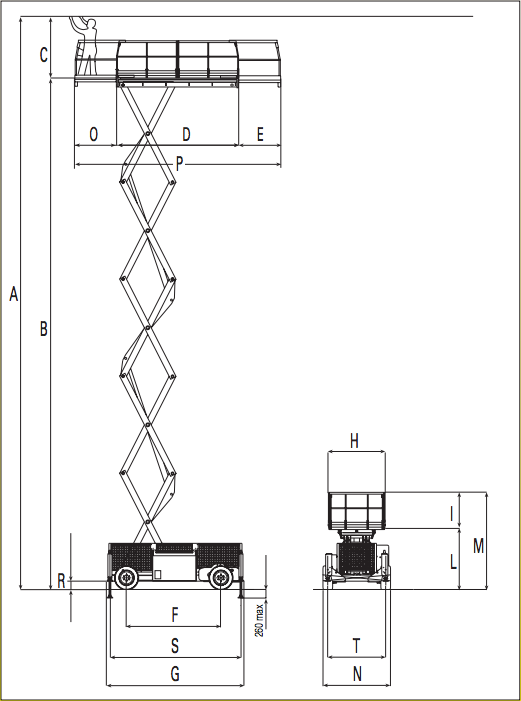 It has a 19.26m working height and an extensive deck area suitable for heavy loads and equipment and multiple orperatives (up to a max capacity of 500kg). 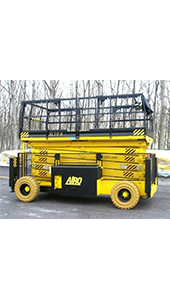 This Airo Scissor Lift has a number of useful features including automatic levelling of the stabilisers, large double deck extensions and 20 percent gradeability. 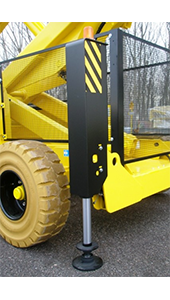 In addition, the Airo scissor can be driven at height (please refer to manual) to enable operators to move across a site with reduced time lowering and elevating in between work areas. 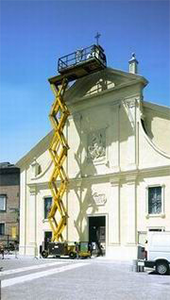 To discuss this productivity boosting feature or to hire the Airo Scissor lift, call JMS on 0845 467 0000. 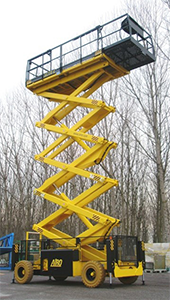 To find out more about Large Scissor Lift Hire in Yorkshire, Pinewood and Harpenden, get in touch with us today.